This is a great opportunity to shift into the wild, into health, into new lifestyle inspirations, into yoga. come experience true ocean and the authentic country side valley. Come discover the beauty of the coast with total immersion in nature, daily yoga, nourishing farm to table meals, surfing and reconnection with yourself. Located at Portugal's Southwest Atlantic Coast, bordering Algarve, this amazing location combines an amazing host, spectacular wild surf beaches and the authentic countryside tranquility of Alentejo. 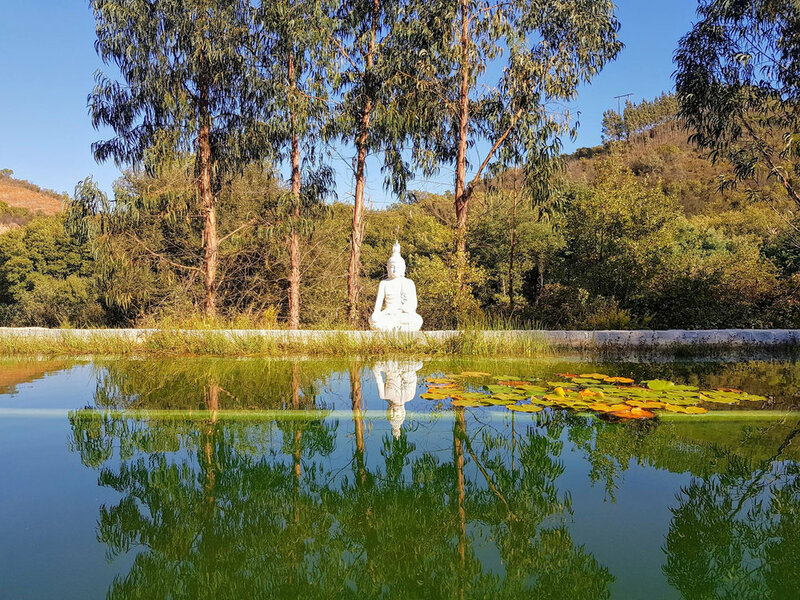 If you love nature, healthy & organically grown food and are looking for peace, tranquility, soul nourishment, we invite you to enjoy this natural sanctuary. Located 2.5 hours away from Lisbon, this isolated evergreen valley creates an abundant oasis where two creeks come together, as a womb to nourish an ancient lush forest and wildlife vistas. Join the mailing list to receive news and updates on the 2019 Summer Portugal Retreat. Enjoy the privacy of a single room and private bath. We have a few double rooms available - but only one treehouse and one teepee! This room type includes a shared bath. A nonrefundable deposit of $500 is required to hold a spot. Full payment due by July 15th. special yoga classes/workshops over the week, ( hip opening, tai massage, inversions).